Did anyone else notice CPSC’s recall last week of ceramic mugs? The agency is concerned about 4400 mugs with hairline cracks. 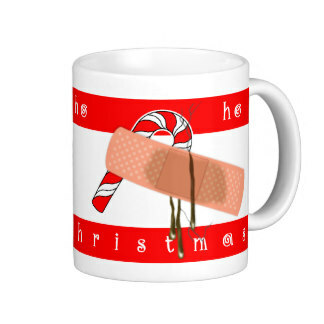 The hazard is not that they break and cut the user, or that there may be sanitary issues with germs being trapped in those cracks, but that hot liquids might seep through the cracks and cause a burn—not that any burns have been reported. I am a potter. I have a pottery studio and on most weekends you can find me at my pottery wheel. But I am not a very good potter and I have made my share of ceramic mugs with hairline cracks. The problem comes about when a pot that is not fully dried is put into the kiln or when the kiln temperature is either too low or too high for the type of clay and glaze being used. And although, in those circumstances, it is possible to get small cracks in the surface, it is not possible for liquid to quickly flow out through those cracks. As the agency says in its press release, liquids can seep through, and by the time they get to the outer wall, it is just not possible for those liquids to be so hot as to cause a burn. An annoying moisture ring on your table, yes, but a burn, no. This is another example of the agency conflating product quality issues with product safety issues. In this case, presumably the manufacturer reported the issue in an abundance of caution, probably under the agency’s Fast Track program. It used to be that not every report resulted in a recall and that the agency compliance staff was encouraged to exercise judgment and common sense in determining whether a recall was warranted. But the position of Director of Compliance has gone unfilled for over three years so it is not surprising that leadership direction to the staff is lacking and staff may not feel empowered to make the sensible judgment calls without risking criticism. As I have written before, when the agency turns a quality issue into a safety issue, it is wandering way outside its mandate. Unfortunately, the agency has generated such confusion—and fear–in the regulated community with its enforcement policies that companies feel compelled to report things like mugs with hairline cracks. That the agency compounds the problem by agreeing to a recall in such a case means that the definition of a safety hazard is totally unpredictable. Apparently a hazard is whatever the agency says it is. Objective indicators, such as the existence of injuries, have no place in that calculation, replaced instead by speculative conjecture. It is not clear how consumer safety is furthered by this result. Perhaps it is time to change the agency’s name from the Product Safety Commission to the Product Quality Assurance Commission. It seems as if that is what the agency is trying to do.